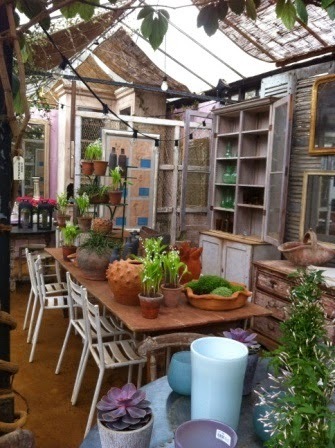 My favourite place in London is Petersham Nurseries. It is beautiful, inspirational and a peaceful oasis. 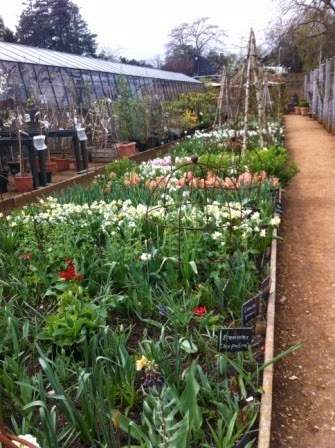 After my dentist appointment today, I stopped at Petersham and couldn't resist taking some photos to share with you. 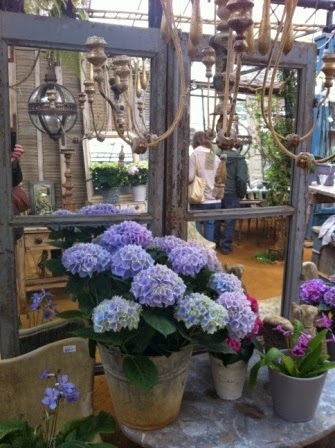 I always leave Petersham with lots of ideas of how to use flowers and plants as part of an interior design. 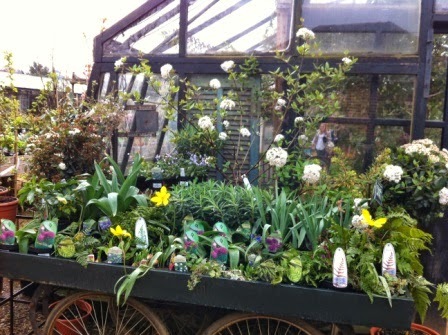 And of course I am always inspired to plant my three square feet of outdoor space so I bought a few plants as well as a bunch of the most unusual colour hyacinths. They are incredible, especially the vivid blue ones. Enjoy! 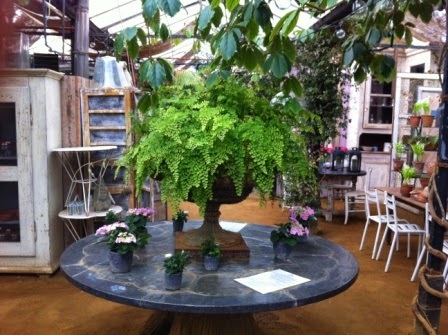 One of the glasshouses where you can sit and have coffee and the most divine cakes or lunch from the cafe. 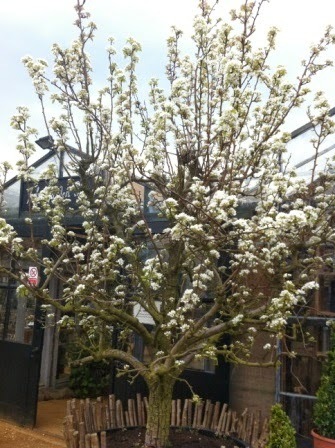 The next photos are taken in the shop which is in the same glasshouse as the Michelin star restaurant. The floor is earth, in the restaurant also. And here are my purchases. All blue and mauve plants - my favourite coloured flowers. 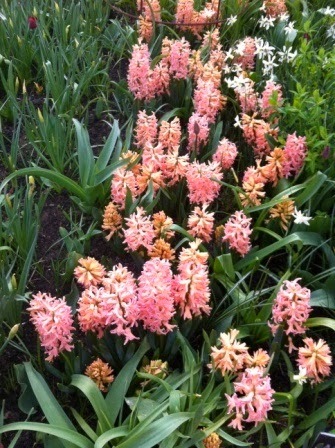 Check out these incredible coloured hyacinths. 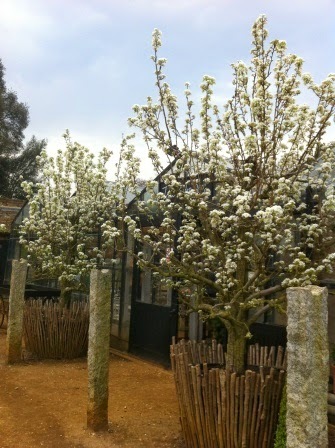 They will be stunning once they are in flower. And my French coffee mugs!